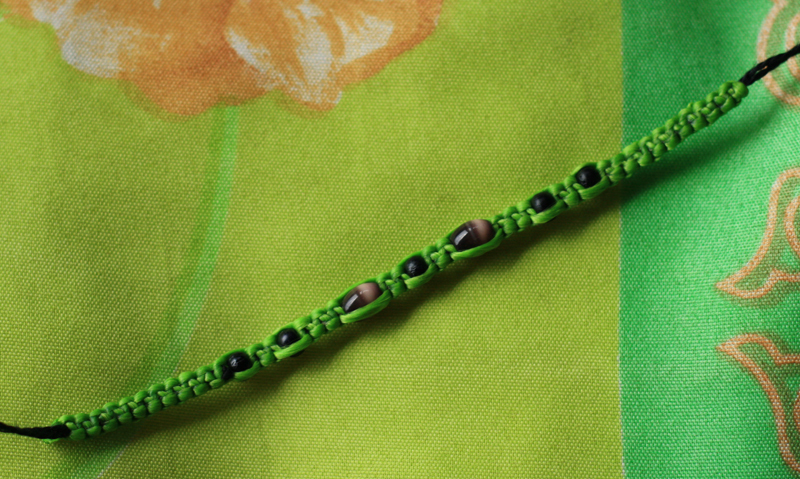 I got into making knotted bracelets before we left for Thailand, so I took some cord with me on the trip. Needless to stay, it ran out in a couple of weeks. And the street vendors aren't really keen to sell cord and beads as they want you to buy their own bracelets (which are really nice, by the way). There was fortunately one dude who had some leftovers he was willing to part with. Beads? No. Those he needed for himself. But luckily there were some to be found in Kuala Lumpur.